When the United States purchased Florida from Spain in 1819, the boundary between the Spanish and American line on the southwest was fixed by the Sabine River. Just across this line was the district of Texas, then a province of Mexico called Coahuila y Tejas. The Spanish government, anxious to develop this state, offered large tracts of land to anyone who would settle a certain number of families within a definite area. Many Americans took advantage of this offer. Among the earliest immigrants was Moses Austin, of Missouri, who led a colony of families into the fertile region. It was not long after this that Mexico revolted from Spain and became an independent republic. The government was very unstable, and most of the early presidents were tyrannical and usurped many privileges. Among the most successful of these dictators was Antonio Lopez de Santa Anna. He succeeded in controlling all of the local state governments except Texas and made himself so unpopular that many of his enemies moved into the province of Texas. The new laws were unpopular throughout Mexico, leading to violence in several states, including Coahuila y Tejas. Making matters worse for the Texans, Santa Anna removed the capitol of Texas from San Antonio to Saltillo, a town in a neighboring state. This caused so much inconvenience that in April 1833 the Texans called a convention to discuss proposed changes in immigration, judicial, and other political policies. The delegates also advocated separate statehood for Tejas and elected Stephen Austin, son of the early pioneer, to carry a proposed state constitution to Mexico City. 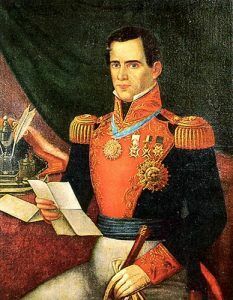 The new Mexican President, Antonio Lopez de Santa Anna, approved many of the proposals but refused to agree to separate statehood. Austin returned to Texas, but, wrote a letter in October that advocated Texans to act unilaterally on statehood. As a result, he was arrested for treason and taken back to Mexico and imprisoned, where he would stay for the next year and a half. In the meantime, the number of Americans and Mexican immigrants entering Tejas was quickly escalating, inspiring Santa Anna to believe that the influx of American immigrants to Texas was part of a plot by the U.S. to take over the region. In 1834, because of perceived troubles within the Mexican government, Santa Anna went through a process of dissolving state legislatures, disarming state militias, and abolishing the Constitution of 1824. The Texans were so indignant over these changes and the imprisonment of Stephen Austin, that they met again making plans for a revolt. Hearing of this, a garrison of Mexican soldiers attempted to seize a cannon belonging to the defense of Gonzales, Texas on October 2, 1835. Though the Texans resisted and forced the Mexicans to leave the field., this was the first official battle of the Texas Revolution. Continued hostilities then began that continued for three months. During this time the citizens of Texas met, formally declared war against Mexico, and elected General Samuel Houston commander of the army. Soon Santa Anna ordered his troops to march upon San Antonio. When William B. Travis, in command of about 150 Texas troops, heard of Santa Anna’s approach, leading some 1,500 soldiers, he and his men took refuge at a fortified convent, known as the Alamo. He also published a message to the people declaring that he was surrounded by an army far outnumbering his own and that Santa Anna was demanding unconditional surrender. Unfortunately, though Travis wrote multiple letters pleading for more men and supplies, fewer than 100 reinforcements arrived. 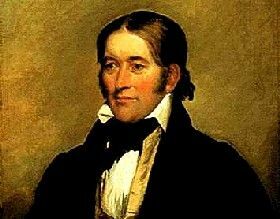 Travis along with other famous names such as Davy Crockett and James Bowie, resisted the attack that began on February 23rd and lasted for the next 12 days. A number of skirmishes occurred as Travis and his men desperately waited for help that would never come. 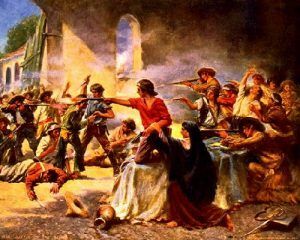 In the early morning hours of March 6, the full force of the Mexican Army advanced on the Alamo. As the Texas soldiers fought valiantly, they were able to repulse two attacks, however, when a third came, they were unable to resist. In the end, every last man within the Alamo would die – estimated to have been between 182 and 250 Texans. While the Battle of the Alamo was going on, Texas declared its Independence from Mexico at a convention on March 1, 1836. A committee of five of its delegates were appointed to draft the document, which was completed overnight and signed the next day, March 2. David G. Burnett was made president and Lorenzo de Zavala, was chosen vice president. Santa Anna continued his campaign; and before General Sam Houston could prevent it, the Mexicans surprised a force under Colonel James W. Fannin at Goliad, and destroyed this garrison in the same brutal manner as in their attack upon the Alamo. Houston, realizing his small army was not prepared to fight Santa Anna out in the open, soon ordered a retreat towards the U.S. border, and many settlers also fled in the same direction. Santa Anna’s army gave chase. On April 20, 1836, both armies met at the San Jacinto River. Separating them was large sloping ground with tall grass, which the Texans used as cover. Soon the Mexicans were reinforced and Santa Anna ordered his men to stand down, sure that the Texans would not attack his superior force. He allowed his troops, who had been stretched by the ongoing forced marches, to rest. However, the next afternoon, he and his men were surprised when the smaller force of Texans attacked. In a battle that lasted only about 18 minutes, Santa Anna’s entire force was killed or captured by Sam Houston’s heavily outnumbered army. Only nine Texans died. Santa Anna was captured the following day and held as a prisoner of war. Three weeks later, Santa Anna was released after signing a treaty in which, he agreed to discontinue war upon Texas, he was allowed to return to Mexico. These treaties did not specifically recognize Texas as a sovereign nation but stipulated that Santa Anna was to lobby for such recognition in Mexico City. Afterward, the United States, France, and England recognized the new republic as an independent nation, though Mexico never did. Sam Houston became a national celebrity, and the Texans’ rallying cries, “Remember the Alamo!” and “Remember Goliad!” became etched into American history and legend. It was not long after the Texas Revolution that the people of the new republic began to consider the annexation of their state to the United States. The majority of the population were Americans, whose interests had always been closely identified with the United States. As soon as this plan became known, England began to discourage the idea and to attempt to secure better relations between Mexico and Texas. Santa Anna, having already repudiated his treaty, was collecting an army for further invasion. But, the biggest issue with annexing Texas as a state was the issue of slavery. The question of annexation was to become a national issue in the United States, where the people of the North and South took definite sides. The Abolitionists of the North and East were especially opposed to annexation on the grounds that Texas was a slaveholding republic, and that the addition of this vast territory would greatly increase the area of the slaveholding states and retard the chances of abolition. 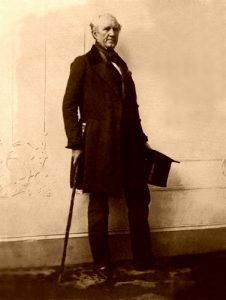 Though President John Tyler and some of his primary supporters were earnest advocates of annexation, he did not publicly make known his plans until April 1844, when he sent a message to the Senate proposing a treaty of annexation. However, the Senate promptly rejected the proposal. The following year, Democratic candidate James K. Polk of Tennessee would become the president. An enthusiastic advocate of Annexation, Texas became a state on December 29, 1845, which soon led to the Mexican-American War. By Eleanor E. Riggs, 1916. Compiled and edited by Kathy Weiser/Legends of America, updated October 2017. About the Article: This article was primarily written by Eleanor E. Riggs as part of her book, An American History, published in 1916. However, the original article has been heavily edited and expanded to include additional information.